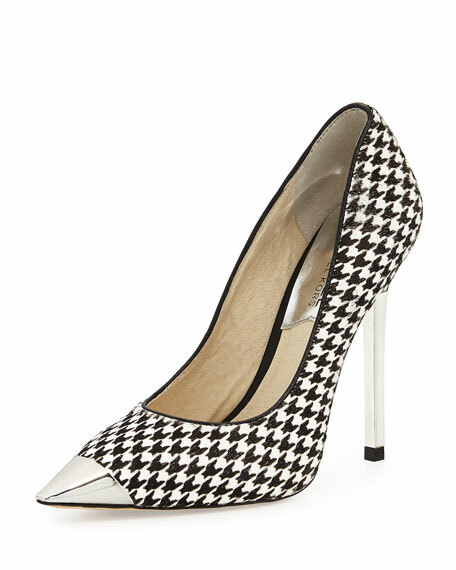 Black/white houndstooth-print dyed calf hair (China) upper. 4 3/4" silver color heel. Pointed toe with silver color cap.